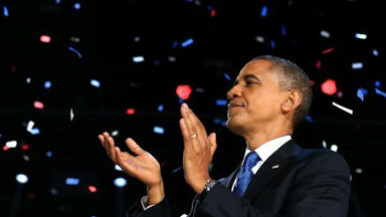 Obama’s Only Accomplishment – A Nation Divided! Bob’s Grieving Period is Over!! Finally, I am almost done grieving over the death of America on 11/6/12. She was a grand old lady who passed away from the tens of millions that sucked the life out of her. Almost 50% pay no taxes to support the lady while the other 50% pay everyone else’s bills. It was a sad passing…..she will be missed. Obama is not the better man; but he was the better campaigner! Romney had Obama on the ropes after the first debate and then just seemed to give up. His failure to match his performance in the final two debates was one of two primary reasons he lost. The second was the selection of Paul Ryan. Ryan is another good man; but when the Dems portrayed him as throwing Grannie off the cliff, the old folks were scared to death. Good job by the Dems; bad choice by Romney. Marco Rubio would have given Florida to Romney, for sure. But, Romney counted on Ryan to bring the mid-west……….bad decision, Mitt! Now Obama feels empowered…he has his mandate! Beware of bigger government! A bigger nanny state (until all the teats run dry)! Watch out Greece, America is coming fast. Finally, the Congress is the most dysfunctional organization in the universe. Every one of the jack-asses that hold those responsible jobs should be fired. But, therein is the problem. The pampered will not bite the hand that feeds. Enough said! America, be careful what you ask for…..you might just get it! Seriously, America!!!! WTF were you thinking? The results of the 2012 presidential election mean 4 more years of Congressional gridlock and 4 more years for Obama to push his Western European, quasi- socialist model on the battered and bruised American system of democracy. Card check for Trumka’s unions and increasing EPA regulations will stifle businesses, small and large, and the full implementation of Obamacare will eventually bankrupt the country while delivering “not optimal” healthcare to millions of Americans. Taxes will go up and already bloated government will continue to grow. The stock market will tank and by the time 2016 rolls around our national debt will be over $20 Trillion. Welcome to the enhanced version of America, the nanny state. You have no excuses America…you did it to yourself! A hyper-racial, failed president has been given a vote of confidence by masses of the entitlement-seeking, “blame someone else” for my problems, lazy, and uninformed voters. Truly a sad day for America!!! 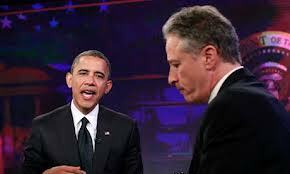 President Obama visited with Jon Stewart, host of the Daily Show on the Comedy Channel, and proclaimed the murder of Ambassador Stevens and three other brave Americans in Benghazi on 9/11 was “not optimal!” What is optimal for Obama? Two lives lost? As the POTUS, his statement was ridiculous….and sad. Imagine that you are the parent, spouse, child, or sibling of a fallen hero. Was the loss of your hero an optimal case for this president? Obama’s aire of detachment from the loss of lives is proof positive that he does not deserve to be the leader of our country. His “lead from behind” foreign policy is a complete failure as al-Qaeda’s influence is rapidly growing in the Middle East and Northern Africa. Al-Qaeda did not die with bin Laden. Mr. Obama: Do you know what is really “not optimal?” You are suboptimal!! In fact, you are unprepared to be the president. My friends, as you go to vote on November 6th, cast your ballot for a person qualified to lead the country; a person who will be proud to represent all of America; and a person that respects the supreme sacrifice made by thousands in far away places around the world. Hopefully, Obama, you will begin an extended vacation in January 2013! 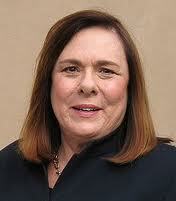 Candy Crowley, moderator for the latest presidential debate, showed her left-wing side by supporting Obama’s description of the Libyan embassy attack. Clearly, the White House never declared the attack the work of terrorists until more than a week after the attacks. In fact, UN Ambassador Rice proclaimed that a YouTube video was the reason for the “unrest” on five Sunday morning talk shows. The Obama administration has attempted to cover their tracks since the attack took place. Americans are not stupid! Everyone knows the truth. Obama’s apology tour and his failed foreign policy are the reason for the increasing attacks in the Middle East and Northern Africa. ‘Nuff said!! Candy’s other mistake was in the choice of questions she made for the debate. With all the issues facing this country, her choices were idiotic! Idiotic and idealogical…..just like her! Race Riots Promised if Obama Loses! Drudge Reports published an article from Alex Jones’ Infowars.com which is disturbing at the best. Threats on Twitter are increasing as the election gets closer. Click on the link below to see what is being said on Twitter. This country is more racially divided today than it was 10 years ago. It is all so shameful.